Inox Wind, promoted by Gujarat Fluorochemicals, has opened its public issue for subscription today. The issue consists of a fresh issue of equity shares aggregating up to Rs 700 crore and an offer for sale of 10,000,000 equity shares by Gujarat Fluorochemicals. The price band is fixed at Rs 315-325 per share for the issue, which will close on March 20, 2015. The minimum bid lot is 45 equity shares and in multiples of 45 equity shares thereafter. 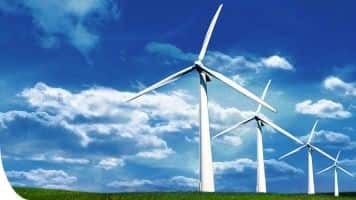 The wind power solutions provider has decided to allocate shares worth Rs 306 crore to anchor investors. It will allocate little over 94.25 lakh shares at a price of Rs 325 apiece to anchor investors. Axis Capital Limited, DSP Merrill Lynch Limited, Edelweiss Financial Services Limited and YES Bank are the global co-ordinators and book running lead managers to the issue. Link Intime India Private Limited is a registrar to the offer.